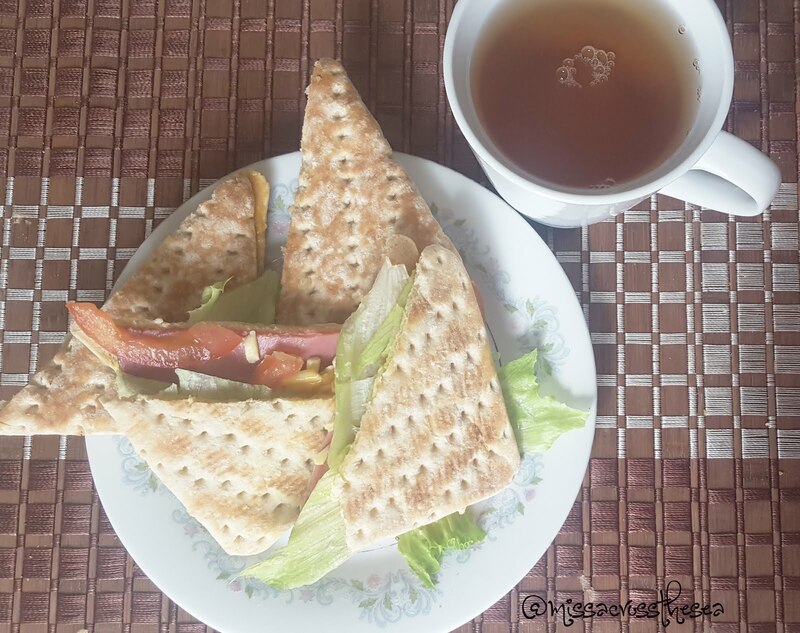 As a busy person, sometimes we think it is wasted our time when we prepared our lunch. How many of us really have no time for preparing the lunch to bring to our office in the morning? Or just too lazy to have a big lunch meal at home because it's just only you at home? For someone like me who seldom going out for lunch, and sometimes getting confuse because don't know what to eat at lunch time. I also sometimes don't want to take a longer time at the kitchen just for cooking lunch for myself. When I still working back in the day, It was so difficult to prepare my own lunch box in the morning, before going to office. In between doing makeup, and preparing all the office need, I always skip the lunch preparation. 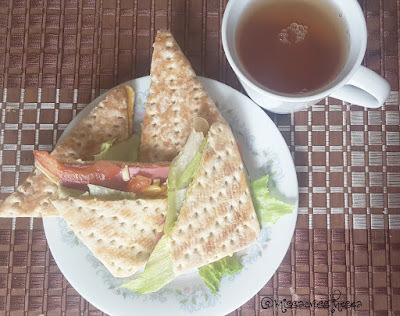 One of the fastest way to prepare lunch is with sandwich. For some of us, making sandwich is the fastest way to prepare. Just toast the bread, fill it with all the sandwich filling, or jam, then you ready. Being someone who live in Australia, and sometimes think Australian's meal portion is always twice as much as I usually had, sometimes even having a piece of sandwich also feel too much for me. Then I found this Tip Top Thin Sandwich. 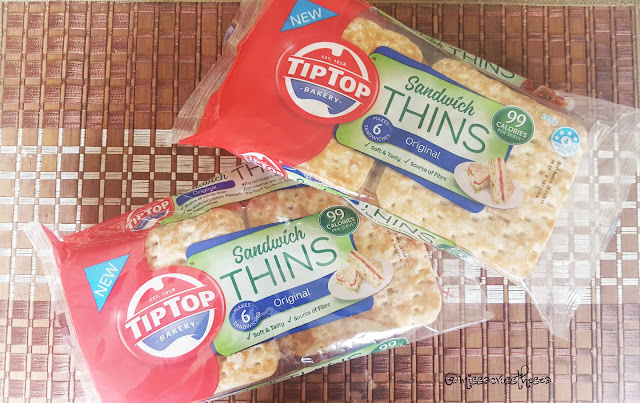 One of the most popular brand in Australia, Tip Top is one of the Australian bakery product that provide a great quality bake good all around Australian cafes, restaurant, schools, hotels, etc. 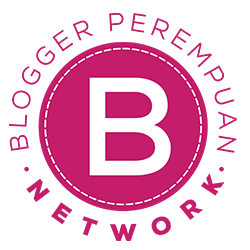 Their Tip Top product range it self is vary, from sliced bread, breakfast breads, lunch & roll burger bun, dinner rolls & sliders, sharing loaves & baguettes, garlic breads & pizza bases, and even crumbs. Not a strange for a product that has been around Australia for more than 50 years. Including their Tip Top Thin Sandwich product. This new product came with three different taste, original, lightly seed, and wholemeal. As a fan of a wholemeal actually I really looking for their wholemeal product, but unfortunately I ran out when I came to Coles #sob. But I am not disappoint with the original one, tho... It is delicious. Because it contain of gluten cereal and soy, I hope you be really careful, especially if you or your kids have a peanut allergy. At first, I thought this product will be as same as thick the original bread, even when it said "lighter". I admit, I was wrong. This Tip Top Thin Sandwich IS thin and light. I don't have to stack two bread in one for making a sandwich, because in Tip Top This Sandwich, they already sliced every bread inside the packaging. So, I don't need to find a knife to slice is, or stack it with another. With only 99 calories per serve*, this sandwich is really healthy and light. Oh, do I mentioned about enough portion? Because it is. For me that sometimes having difficulty to finished the normal bread (stack into two), this is something that I barely able to finish. Says with one stack of normal sandwich, I could have two Tip Top Thin Sandwich, LOL. You could put anything for your soft, light, and tasty Tip Top Thin Sandwich. And, when my boyfriend tried it, he said the bread didn't "eat" the taste of the filling. 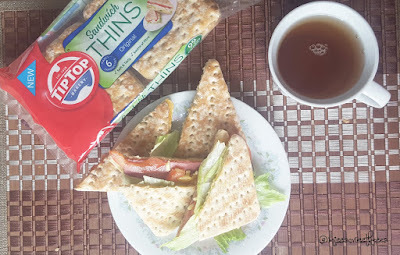 Yes, he is right, once you put Tip Top Thin Sandwich as your lunch, you will feel those filling that you put inside the brad will easily to taste inside your mouth. My favorite one is always peanut butter. And this Tip Top Thin Sandwich makes my peanut butter filling taste more than when I have it with normal bread. We also had it with simple sandwich. Lettuce, tomato, cheese, and thinned sliced pastrami. Toast the Tip Top Thin Sandwich, and then put all the fillings. It was a delicious and full meal. Because the bread is so soft and light, that is why any filling you put there will taste more inside your mouth. I mean, come on, once you want to put your chicken meat inside your sandwich, you really want to taste the meat inside your mouth, together with the bread too right. Well, as for me, yes, that's what I want. Not just a bread with a slightly chicken taste. 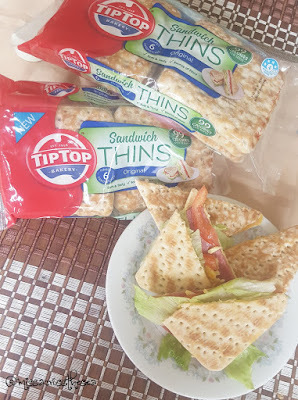 Not just for sandwich, you could do anything you want with Tip Top Thin Sandwich. Toast it and just spread it with butter? I can see why not. Or makes it like Aussie's burger? Maybe that will be a good idea too. Just be creative. I don't have to be worried about too much portion for my sandwich anymore. Because with this product, I have JUST enough portion without making it too much. So you, my Aussie's mate, this product could be your other alternative for lunch. I know how busy we are at weekday. And especially for someone who live in suburb but have to work at the city, and have to ride a public transport for going for work. This will help you save time to prepare lunch box. It is easy and healthy too. And like I said, just enough portion to keep you full all day.